Another sheet of iron used as an exterior wall panel at the hut at Birds Nest, Werrikimbe National Park. 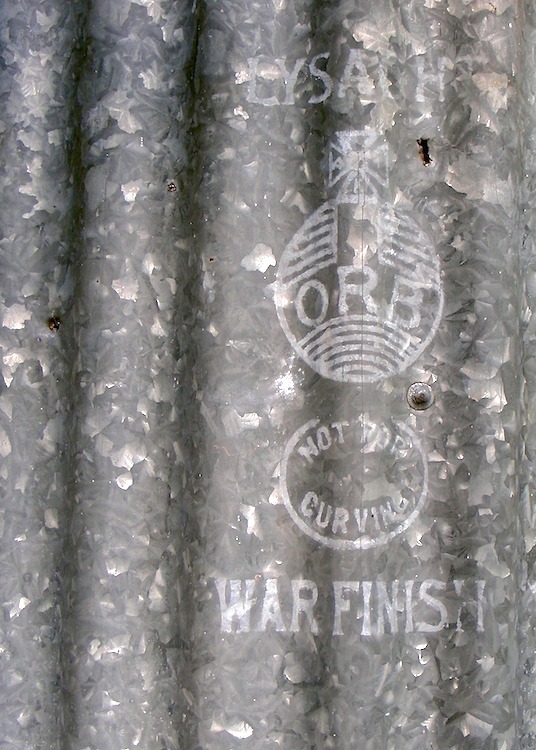 I assume that the text “War Finish” would assist in dating the date of manufacture. It also advises “Not For Curving”.